Golden coloured thanks to their slow and delicate production process. With subtle resinous notes. A delicious addition to any moment. 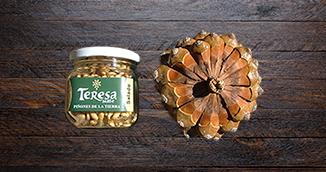 Shelled pine-nuts and sunflower oil. 6 months from manufacture date. 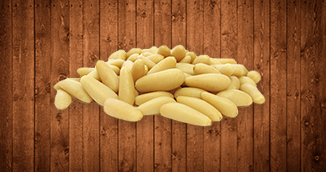 Being a finished product, they are ideal for flavouring fish, fowl, vegetables, salads and sauces. Used in baking and confectionery in general. Delicious as an appetizer.